Last month, while having breakfast with a group of entrepreneurs in Chapel Hill, N.C., I met Deepak -- a young, up-and-coming star in the Research Triangle's entrepreneurial ecosystem. Deepak hopes to grow his health-care startup, create good-paying jobs and enable people from around the world to live longer, healthier lives by personalizing the delivery of medical advice. 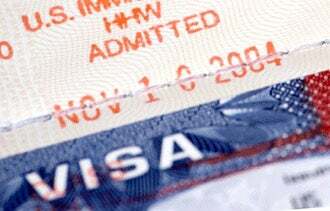 Except for one challenge: The visa system of the U.S.
Deepak was born in India. Despite holding a Ph.D. in genetics from the University of North Carolina and watching his company increase revenue by 40% month-over-month, Deepak's green-card status remains uncertain. As a result, he told me, Deepak is having a difficult time convincing investors to fund his expansion -- thus with capital on the sideline, seven workers in Raleigh have not been hired and an innovative idea has not yet scaled. 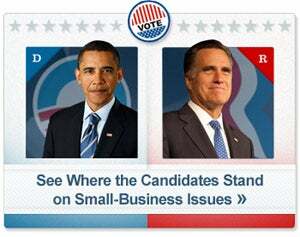 As the election season enters its final phase, President Obama and Governor Romney have legitimate disagreements over which policies will most effectively jumpstart America's economic recovery. But not when it comes to winning the global battle for the world's most talented immigrants like Deepak. Both the President and Governor Romney support stapling green cards to America-educated immigrants who have advanced diplomas in science, technology, engineering, and math (STEM). Both the Democratic and Republican party platforms call for this type of visa reform as well. The bipartisan support makes sense when you consider that the U.S. once prided itself on attracting and keeping the most highly-skilled immigrants from around the world. Iconic American companies like IBM, AT&T and Goldman Sachs were founded or co-founded by immigrants. So, too, were Google, Intel and eBay. In Silicon Valley between 1995 and 2005, half of startups had an immigrant founder. In 2005 alone, American companies with immigrant founders in the technology and engineering industries did $52 billion in sales. For our economy, high-skilled immigrants are net-creators of jobs and net-drivers of innovation. Today, arbitrary visa caps force 20,000 American-educated degree holders to leave our shores every year and contribute to the economies of competitor nations like China, Canada, South Korea and Singapore. We are subsidizing the entrepreneurial ecosystems of those countries every time we make it harder for people like Deepak to stay here and innovate. In fact, the percentage of immigrant-founded startups in Silicon Valley has fallen to 43.9 percent from 52.4 percent in the last seven years. Imagine if our national defense strategy were carried out in the same manner as our economic policy? Men and women would be trained and equipped with world-class battlefield skills at the Naval Academy, Air Force Academy and West Point before our government sent them off to fight for the militaries of other nations. These challenges are not news to the ambitious entrepreneurs I've met recently in Raleigh, Denver, New York, Detroit, Chicago, Las Vegas and beyond who are working day in and day out to build solid companies. They understand that it's harder to raise capital when a co-founder's immigration status is pending or when they lack the flexibility to hire that talented engineer due to a visa issue. These folks don't have the time or ability to sit down with policymakers and explain why our immigration system is slowing their business. All that they ask for is that some in Washington, D.C., are listening. Indeed, some are listening these days -- on both sides of the aisle. As a member of President Obama's Jobs and Competitiveness Council, I've had the privilege of co-leading the effort to improve the environment for entrepreneurship in the U.S. While 2012 has been a politically charged election year, there has been legislative progress, including the bipartisan JOBS act which was signed into law in April. The bill permits crowdfunding so that startups have expanded access to capital and makes it easier for fast-growing businesses to go public. When it comes to reforming America's high-skilled immigration system, Democrats and Republicans are starting to show collective urgency. The bipartisan Startup Act 2.0 introduced earlier this year would eliminate the per-country cap for employment-based visas; create a new STEM visa category that puts graduate-degree holders on a path for a green card; and create an entrepreneur's visa for legal immigrants who start a business. And last month, four bills were introduced -- two by Democrats and two by Republicans -- which would award green cards to the top foreign-born STEM graduates of U.S. schools. This is a positive sign for entrepreneurs. The history of America's ascension is the history of entrepreneurs churning out new products and services that change the world. In the last three decades, about 40 million American jobs were created by startups, all the net-new jobs our economy produced during that period. With consensus building that we need to fix our high-skilled immigration system to strengthen our competitiveness, it's time for our elected leaders to do what our entrepreneurs do best: Figure out a way to get it done.